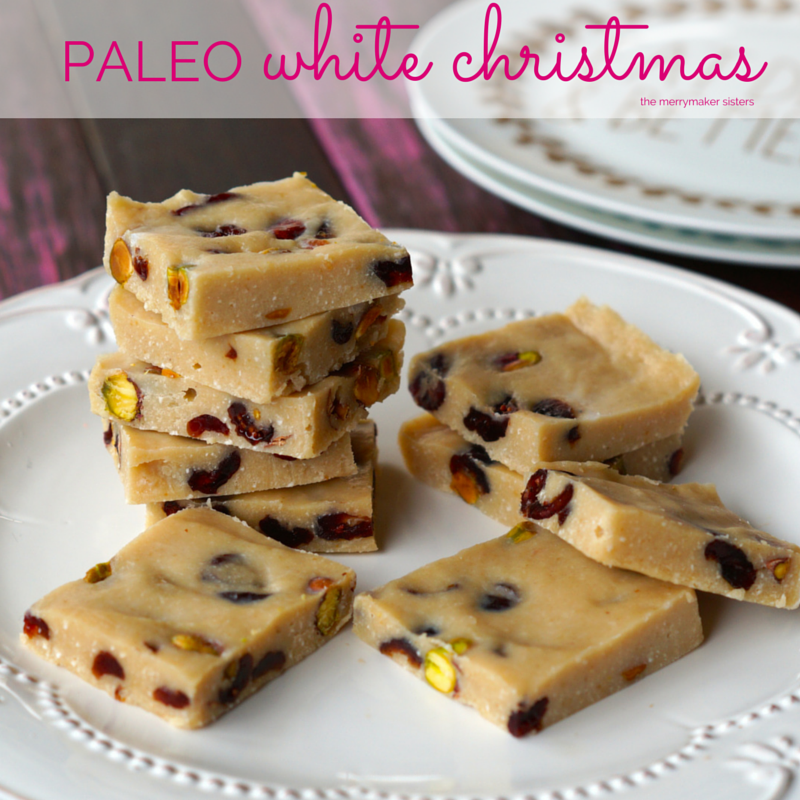 Paleo White Christmas Slice Recipe. We’re bringing you some extra Christmas cheer with this guilt free Paleo White Christmas Slice recipe! It’s totally delish and so simple to whip up! 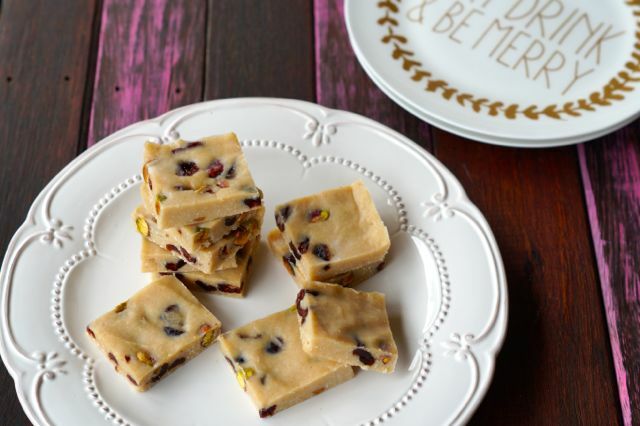 The perfect treat to keep in the fridge for those unexpected guests! If you’re after more healthy Christmas sweet treat recipes you should checkout these yummy Paleo Gingerbread Cookies, Paleo Peppermint Bites or what about this Paleo Coconut Ice? We’d love to see your merrymaker moments on social media! Share you delicious creations on Instagram and Facebook! Tag @TheMerrymakerSisters and use #TheMerrymakerSisters so we don’t miss a pic! YAY! ps. Christmas is ALL ABOUT THE FOOD… and also a good time to read this article on Mindful Eating. Too many sweet treats? Us too sometimes. Kick start your healthy eating journey with our 4 week Make Life Merry Program! Whiz the cashews, shredded coconut, coconut oil, coconut milk, vanilla and maple syrup in a food processor until ridiculously smooth. Change up the fillings! If you can't find cranberries, try apricot!